If you find yourself in Hawaii on the Big Island, there is certainly no shortage of coffee thanks to the popularity of Kona coffee. 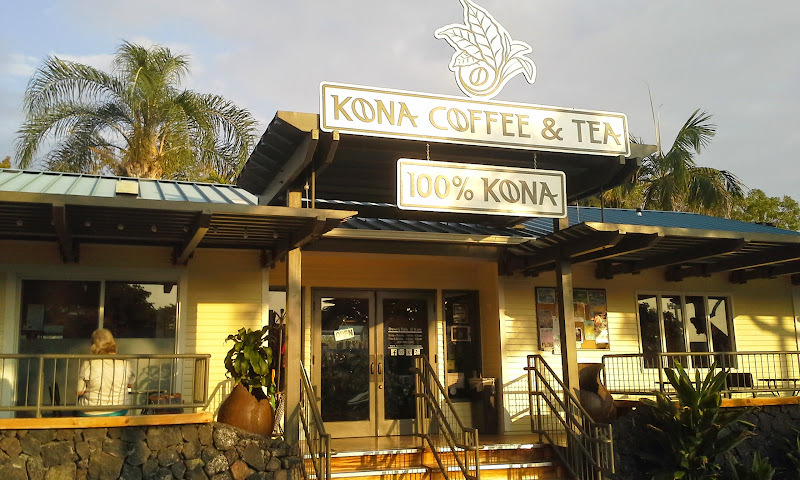 So, do yourself a favor and drive right on past the Starbucks and pull into the cute little coffee shop of Kona Coffee & Tea Company. It’s in the Kailua area, just south of the Kona airport. They have more than one location and I visited the Village store in the Kona Coast Shopping Center, which is just off Queen Kaahumanu Highway on Palani Rd. This location is open until 6:30pm, which is great for people like me who enjoy drinking coffee in the afternoon. This shop serves a variety of coffee drinks – including flat whites – as well as teas. And they serve some food and offer some baked goods in plastic near the register. For my visit, I order up a piece of the peanut butter banana bread, a large macnut latte and a regular coconut latte. So, they only offer two sizes for the coffee. A regular size is 12 oz. and a large size is 16 oz. Overall, this was some good quality coffee and I think that the macadamia nut was superior to the coconut, however the flavor of both was good. The only disappoint here was the PB banana bread. I mean, it sounds like something that would be the ultimate in tasty treats. However, it was truly a letdown. The peanut butter flavor was so strong that you could not even get a hint of the banana flavor. In the end, it was just a peanut butter bread. And if you’re instantly in love with their coffees, they do sell bags of them in the store. 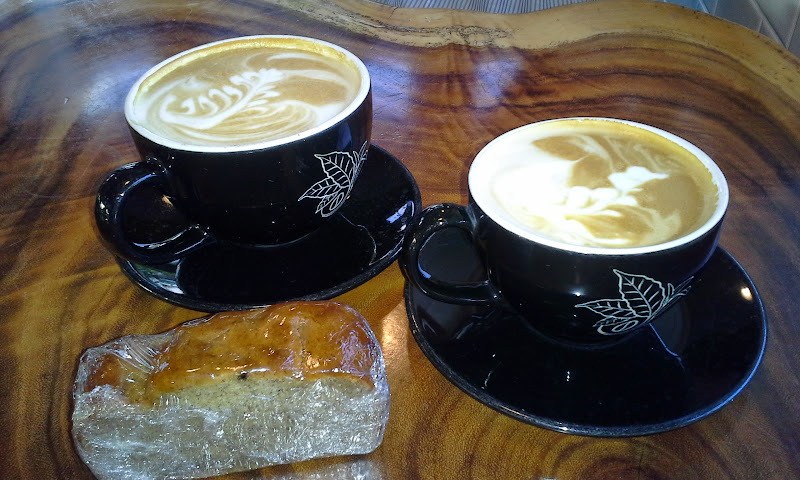 So, load up your suitcase with some yummy smelling Kona coffee before heading back to the mainland. And you’ll get the bonus of all your dirty clothes smelling like coffee!